Galaxy CVn 12h30.6 +41°38' 5.9' x 3.1' 10 40 Mly ??? NGC 4490 (also called the Cocoon galaxy) and NGC 4485, make a beautiful highly distorted pair of galaxies. They are located in constellation Canes Venatici, at a distance of about 40 million light-years. 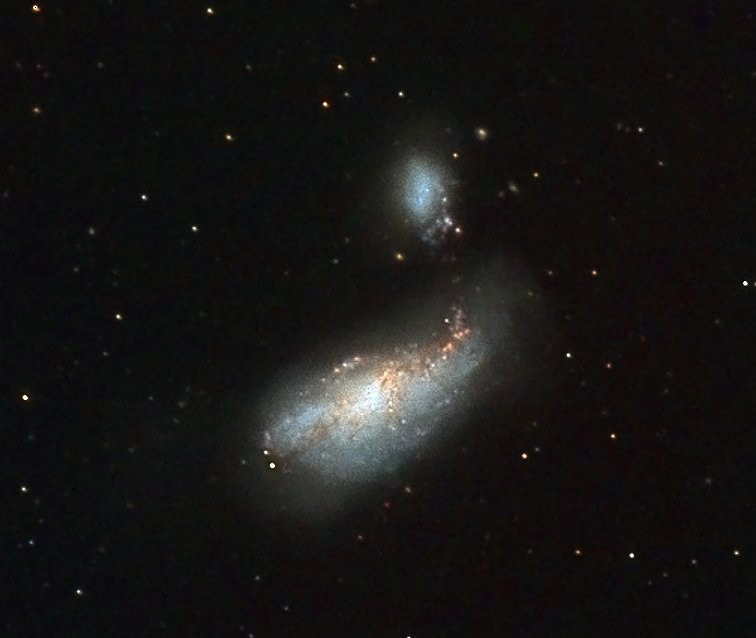 The pair is also called ARP269, NGC 4485 is North.